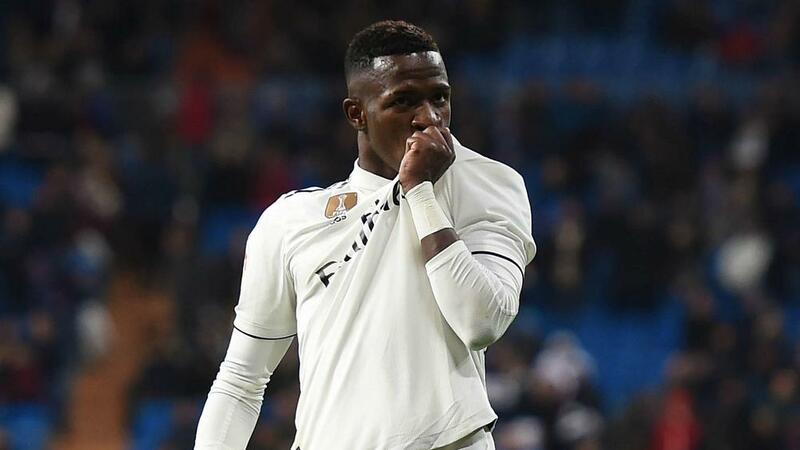 Vinicius Junior has the personality required to thrive at a club like Real Madrid, according to Emilio Butragueno. The 18-year-old enjoyed another fine performance on Wednesday, contributing a goal and an assist in Madrid's 3-0 home win over Leganes in the first leg of the Copa del Rey last-16 meeting. The Champions League holders will hope Vinicius helps to fill the void left by record goalscorer Cristiano Ronaldo, who joined Juventus in a €112million move in July. And club legend Butragueno, who won six LaLiga crowns in 11 years at the Santiago Bernabeu, has been suitably impressed by Vinicius. "To play like this in this stadium you have to have personality, especially when you're a striker," he told beIN SPORTS. "We must not forget that he is 18 years old." Last season, Madrid were stunned 2-1 at home by Leganes and went out on away goals despite having won the first leg 1-0, and Butragueno was keen to guard against another shock in the return fixture next week. "The 3-0 [win] is a great result for a tie, we will not deny it, but in football everything can happen and nothing is final," Butragueno said. "We will have to make a good game in the return to qualify." Madrid opened the scoring via Sergio Ramos' 44th-minute penalty - controversially awarded for a foul on Alvaro Odriozola by Gerard Gumbau. "Of course it was a penalty," Odriozola insisted. "I fell to the ground because of the foul. "If he hadn't committed a penalty on me then I could have kept the ball. There was another dubious incident minutes before that, which wasn't given." Next Ajax's De Jong "Certainly Not Leaving This Winter"